GOOGLE: GREAT IDEAS AND EXECUTIONS COME FROM GREAT TEAMS. 3) Join their accountability: no one should say “oh, it is a design mistake, I am not responsible for this.” Instead it is everyone’s responsibility to create an amazing product. 5) Create great products: people will be attracted to them and everything else will follow. 6) Organize by users, not channels: Google is a huge structure, which has many products. What all these products have in common is that they are used by people. Some people work in big companies, others in mom-and-pop shops. They have different expectations about the products. Help them to reach their goals. 10) Test results of the work all the time: Google has Open Friday, where potential users are invited to participate in testing. Any team can submit a product for testing. Google grew from a startup to a tech giant, yet it keeps thinking of fresh ideas and products. Their team philosophy played a big part, so who knows what else they will achieve? How to spot good ideas & grow them efficiently? Everyone loves imagining a perfect future of flying cars, trips to the Mars…How do we actually make it happen? What if the future is already here and we just can’t decide what to do with all the amazing technologies around us? 3D printers were invented in 1980s and only now are (a few) companies putting them to use. To Kill A Unicorn is a manual to make the leap happen, and fast. To spot good ideas, to grow them efficiently, to make them useful to actual people and profitable to the creator. Maybe if this book had been written in 80s, we’d already have personal 3D factories at home. Solutions are created in cooperation, fostered with optimism, molded with numbers, and chiseled in debates, and polished with a beautiful story. Most important is knowing what’s most important. The art of innovation is like genius: it’s knowing which problem to solve. Like tipping dominoes, starting with the right one will cascade to everything else. Innovation is two-mind thinking. It centers the overlap between unmet customer needs and unrealized business capabilities. Pattern recognition is the most important skill of a strategist. It identifies the real causes of the event, which the strategist then wields to resolve market tension. Success = existing consumer behavior + existing operational capability + big new ideas. Solving small problems leads to small solutions. Think big. Design thinking, or the user-centric approach, is a good approach but often not the most effective one. Innovation is not always about how to accommodate the customer. It should also be about how to fit into the existing ecosystem, where and whatever that is. A good idea is a marriage of magic and money: the wow and the how. Everything else is either an art project or a waste of time. Keep asking “what”: what’s the value proposition, the product, the value chain, the competitive advantage, the risk, the reward. Sure, unicorns are amazing creatures, just like brilliant innovations. The former ought to exist, while the latter actually do. What actually happened when McDonald’s tried to bring back Szechuan dipping sauce? On the October 7th McDonald’s had an amazing, maybe once-in-a-generation, chance to win over jaded Millennials. But they failed, dramatically. 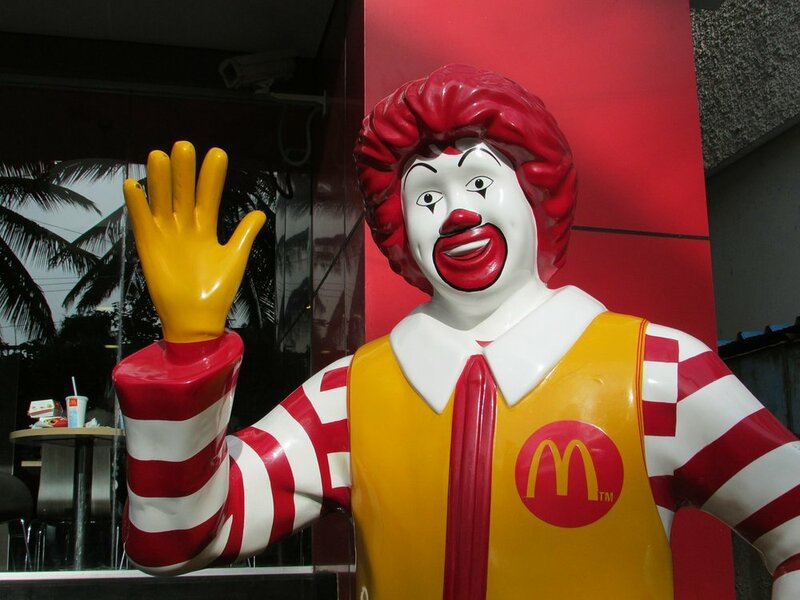 Since the new millennium, McDonald's has steadily lost its relevance to younger audiences. Younger generations eat at McDonald’s much less frequently, as just 20% of millennials have tried the company’s flagship Big Mac. Aware of this, McDonald’s has been fighting to claw back any cultural currency, even forming a new agency, “We Are Unlimited,” dedicated specifically to this goal. This new agency has been spending millions to make McDonald’s cool--or even minimally relevant-- as it was many decades ago. The episode ends with Rick going on a long and unhinged soliloquy about the sauce. The internet went crazy. On the October 7th, at 2pm, McDonald’s relaunched the sauce for one day, and one day only. It was such a popular event that it generated almost three times more Twitter traffic than Comic Con. Just like an iPhone launch, the Szechuan sauce brought people out of their homes to camp in front of McDonald’s. To see what this was all about, I went to one of the New York Locations. I’m a fan of “Rick and Morty,” and I don't hate McDonalds, so I went to see what was happening. But honestly, I hoped that I might be one of the lucky ones, to get the sauce. That illusion was quickly shattered: the line to McDonald’s went around more than one corner, preventing anyone but “Rick and Morty” fans from even getting into the location. There were only 1,000 packets of the sauce in all, according to McDonald’s employees, and the few restaurants to offer any only had supplies of 20 to 40 packs. These select locations were also offering posters and stickers, all of which were gone by 2:10pm. 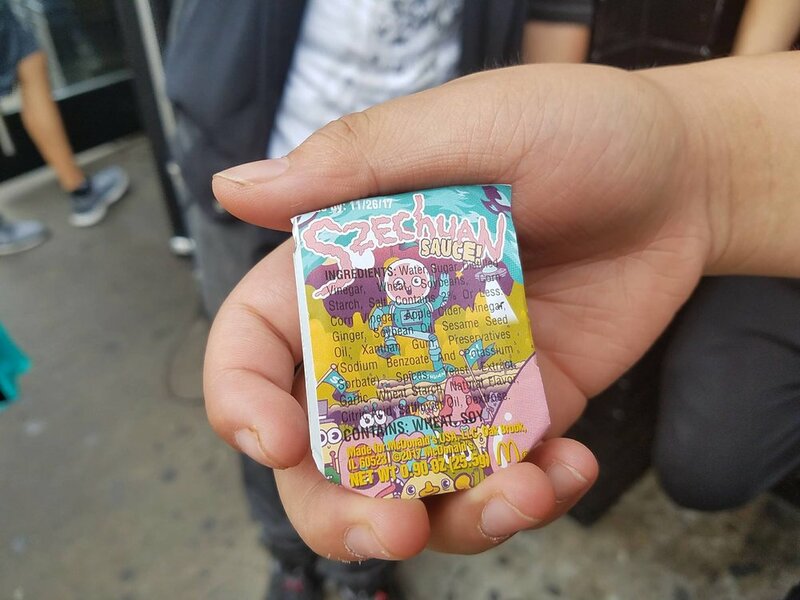 Die-hard fans of Rick & Morty were not totally out of luck: there were enterprising hustlers scalping the sauce. Some deals closed at $75, a low figure compared to the astronomical prices on eBay, which neared $600 for a packet. The lack of supply and overpriced re-sale market left the many who didn't get the sauce very angry and unhappy. Doesn't this situation feel like a lost opportunity for McDonald’s? Create a significant buzz among the very demographic that they repeatedly failed to reach, then drop the ball by acting like the whole thing is an afterthought? Whatever was the reason for this disappointing behavior -- McDonald’s arrogance, or underestimation of the power of pop-culture, or both-- it left passionate, vocal Millennials disappointed, angry and heartbroken. sychics are not magicians. A good psychic is cross between a psychologist and a drama director. 1. Psychics recognize patterns of behavior and personality, and use it to stage a show. They sell a story which makes the client feel special. 2. People already know who they are, and that includes the masks they can’t help wearing. Even if they pretend that they don’t wear masks, often even to themselves. 3. People wear masks because it is what they’ve learned is necessary to fit in, both with society and their own expectations of themselves. 4. No one is special. In any person’s lifetime, there are 7 plot lines and 2 endings for each that they live out. Learn the person’s patterns of thinking and see which stories best fit their patterns. 5. Everyone goes to psychics for the same reason - to receive reassurance, to confirm that that they are wearing the wrong mask, or just to have their egos massaged. 6. People have a hard time with where to start, what to talk about. Tarot cards solve this problem. They are just random objects to start off the conversation; they could be anything else, like clouds or tea leaves. But we don't need exactly them to understand who the person is. 7. Psychics use a lot of Jungian psychology. In fact, tarot cards are interpretations of Jungian archetypes. but this is a secret. Please don’t tell anyone! 8. There is no point in saying something a person doesn’t already believe in. Deep down, everyone already knows the answer. 9. People would rather listen to a magical octopus than to other people. Other people threaten to puncture the belief that one’s story is totally unique, so if only a magical octopus can understand the story, they must be unique. Putting on the show helps too. 10. Psychics write the history of the future. I can recall no other brand strategy so empowering, beautiful and meaningful, nor any which enlarges the circle of trust beyond national borders, as Airbnb’s. I joined Airbnb as a host in 2014. It was 2014, and everything was going well for Airbnb. Many people have already travelled and stayed at their beautiful properties (ok, not technically theirs) all around the world. Not just apartments and houses, but bungalows, villas, even castles. However, the start-up world is a treacherous one: the newest billion-dollar unicorn today becomes yet another cautionary tale tomorrow. This is especially true when a start-up picks up enough momentum to pivot into the mainstream. Many great ideas are great precisely because they are alien and unusual, but this means they do not survive the transition from early adopters to early majority. Nine out of ten startups fail within a year, so how could Airbnb join instead the one-out-of-ten club? "I Stayed in Provance in a castle. It was like a dream"
Airbnb continued to grow, hosting millions of travellers. This meant that it attracted attention from more and more places, including the governments of major tourist destinations like New York and San Francisco. And they did not like the company, claiming that 75% of listings were illegal and violated state occupancy and rental laws. Airbnb tried to address this by launching an advertising campaign featuring a host whose husband had died. In her time of need, Airbnb provided the way for her to survive, and to eventually pursue divinity school. New York authorities were not moved by this. Airbnb then came upon a major insight: we can’t control every problem, and certainly not every problem caused by other people (such as legal regulations). Instead, focus on what the company really believes in, and work towards the accomplishment of its vision. 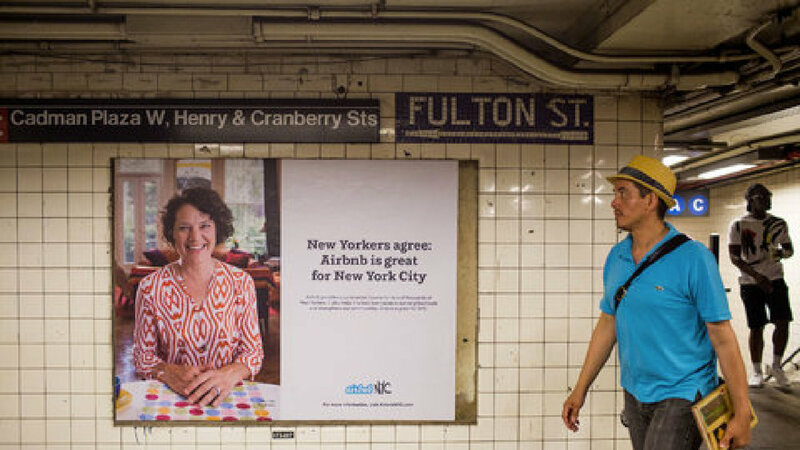 After all, Airbnb was here to redefine how people travel, not how local laws are written. If it could achieve that vision, the benefits would outweigh these problems, eventually making them insignificant, irrelevant. Ultimately, branding is a strategy that aims to accomplish a long-term vision, not to patch up short-term breakdowns. Focus on the tasks and problems that the company can do anything about, and don’t sweat the things beyond that. 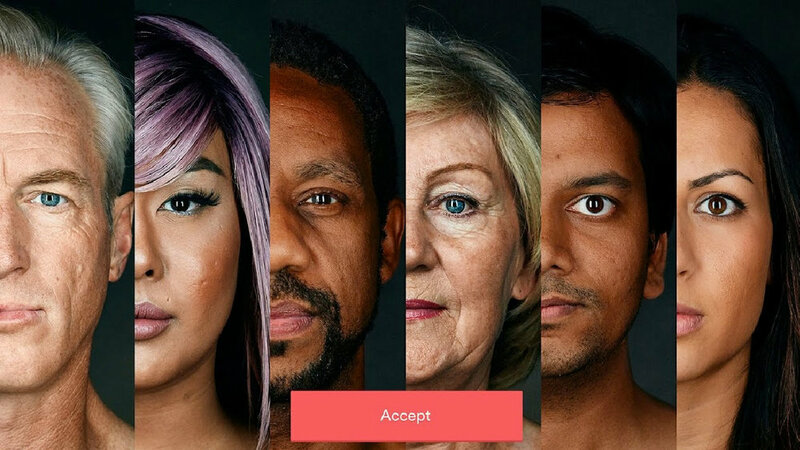 For Airbnb, this meant centering the truth that people need people to enjoy their time traveling to new places. No one wants to be “the other” in the land on unknown. No one wants to be “the other” in the land on unknown. Setting aside the legal fine print, it came time for Airbnb to fully embrace the pivot from niche to mainstream, to evolve from a hero to superhero. Their new vision? Belong anywhere. Now they would be the ones who saved millions from a paralyzing fear of the unknown (“am I being ripped off for being a tourist again?”) Airbnb would protect travellers by building a global community that empowers visitors to be bolder to explore. It’s much easier to dare when you know there is a host who will be there to answer your call in the middle of the night (or from the middle of who-knows-where). I find the brand activations of Airbnb very elegant. Their brand does not foster the brand archetype of “explorer,” which would be too expected of a travel industry startup. Instead, it cultivates the archetype of “lover”, which disturbs the typical architectural framework by evoking “travelling with people” rather than “travelling to places.” “Belong anywhere” was embodied in a famous Bélo, which changed the conversation of a travelling and lodging industry ever since. The symbol belongs to both host and traveller, serving as a beacon for the doors leading to rich and exciting experiences. Numbers reflected it as well. Can't hide how much I love it. In mid-2016 I worked on one of the most amazing projects - we were tasked to develop a digital strategy to popularize one of the most important Chinese theaters and its signature performance - Beijing Opera. To achieve the ambition and to express the client's vision “art changes life” we delivered a strong digital strategy (here it is)… and in addition to the app, we wanted to add some physicality to the strategy and offered to create a cocktail - Beijing Opera..
We were in love with this idea. We envisioned a partnership with Maotai Baijiu (茅台酒) - the most prominent bijou brand. We envisioned bar tenders competitions all around the world. What is a better way to popularize Beijing Opera then to to let people enjoy Beijing Opera outside of the theatre with friends? 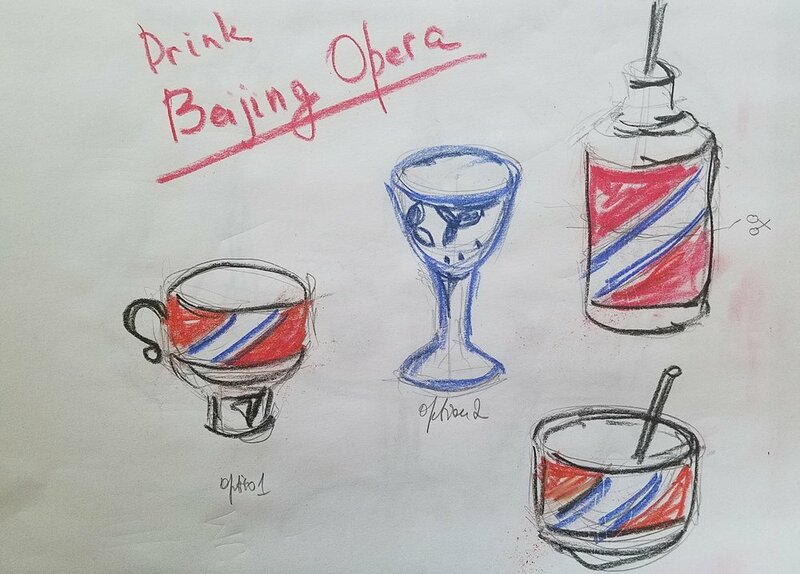 My Dream: to drink the Beijing Opera cocktail somewhere in Paris. How can HP 3D Printers can solve the environmental challenge of the 21st century? Many companies, including HP, are facing the challenge of increasing market irrelevance among younger generations. According to Voxburner, global youth insights consultancy, HP doesn't even land in the top-100 brand for American Millennials and younger. Across all audience cohorts, people keep saying: “HP feels similar to Volvo. Not very exciting, but gets the job done.” Younger people believe that HP is a reliable, trustworthy brand, but increasingly irrelevant. What if HP can reclaim relevance, build emotional connections, and strengthen its business performance by helping to solve the global challenge of the next generation? The world is getting smaller, hotter and more polluted, after all. There is the Great Pacific Garbage Patch, larger than Texas, floating in the ocean. And it won’t get better any time soon. Every piece of plastic which has ever been produced on the planet is still here. Recycling can't help much either - only 6.5% of all plastic is actually recycled. Increasingly, people see the problem of the environment and climate change. According to World Economic Forum, half of all millennials worldwide see environmental challenges as the most urgent global issue, which is very good news for the planet. Millennials are currently the most influential generation. According to New England Consulting Group, “they’re 80 million people but they’re influencing the next 80 million, both younger and older”. This younger generation will be the hope, and agent, of the environmental revolution. Environmentally focused projects are not simply for burnishing images, but are commercially successful in themselves. The recent Adidas launch of UltraBOOST Uncaged Parley sneakers, made out of recycled plastic waste, was a powerful tool to boost the stock performance of the company. It also helped Adidas to progress in the Annual Sustainability Report, and changed the conversation about the environment on social media. In 2015 HP launched HP Multi Jet Fusion technology which, unlike many other 3D printers, is designed to use multiple types of ink to form small blocks (voxels). So what if voxels could then be printed using materials that are both safe and environmentally friendly? What if we could sculpt food packaging not in plastic, but in the biodegradable protein the food is made of? The same way as how nature designed the orange, “packed" in the orange peel, this could revolutionize the global packaging industry. Packaging is annually a 900-billion dollar industry, with the food industry as a predominant customer. Starting with food as the first step in this environmental revolution makes sense, because food is not only an unavoidable daily feature of our lives, but something with which everyone feels emotional connection. Reducing plastic consumption by using biodegradable, 3D-printed packaging would benefit not only HP, but hundreds of food companies that share the same vision: to assure food safety, and to preserve the climate, both by eliminating the need for plastic in our food supply chains. Doing so would also build a stronger emotional connection with younger audiences. HP’s vision is: “We create technology that makes life better for everyone, everywhere.” By acting an agent of the sustainable revolution, HP would live up to this mission and resolve its business challenges. Supreme is not a brand—it is a cult. Supreme serves a mediating function between a need of self-transcendence and its fulfilment. Originally inspired by American conceptual artist Barbara Kruger’s Supreme Box Logo, it embodies the main principle of her work: “I shop therefore I am.” Standing for the current underground culture in the world of Kardashians, Supreme parades the foolishness of the above-ground culture before itself. Intentionally or not, Supreme asserts its philosophy in a religion-like frame—rituals, temples and prophets. Supreme rituals, like those between clergy and worshippers, are weekly commitments. Every Thursday morning, Supreme holds its service in their 10 stores locations. It reveals 5 to 15 new items, creating huge lines of pilgrims down and around city blocks. To feel the energy of the Supreme underground devotion, imagine an Apple store, way less white and way more nihilistic. While collaborating with the world's biggest brands, Supreme also baptizes them. Levi’s, CDG, Nike join the church of underground elite. They understand that they add foolishness to the planet, yet seek the blessing of “cool” by Supreme. Supreme temples are more than retail stores; they are a space to witness and experience. Its item curation and interior design underwhelm, which creates an atmosphere of solemn courage to engage with silenced narratives. For example, currently New York SoHo location is featuring the printouts of the gunshots on its walls, acknowledging the context of recent social conflicts. Lots of products are dedicated to political and social leaders, who happen to be black. Supreme brand is, most of all, authentic. It defines itself organically, not synthetically (unlike say, Nike). Supreme was founded by skating legends who already knew what they stood for, so it does not need to consciously create its identity. Creators write their own stories and values into the Supreme bible. It is not just a community, not just a brand, but a new reality, with Supreme as its gospel.